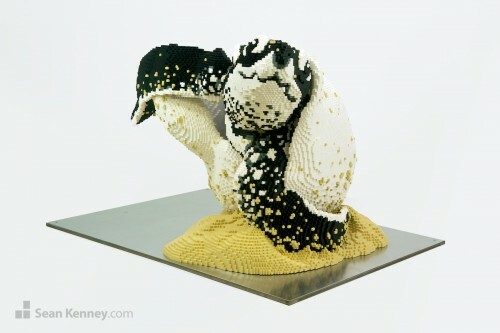 I scaled this sculpture up to giant proportions to show how cute these baby turtles are, and to give you an up-close glimpse of their first few moments of life. Baby sea turtles have perhaps one of the most challenging and amazing first few days, hatching parentless on the beach and making their way to the ocean. 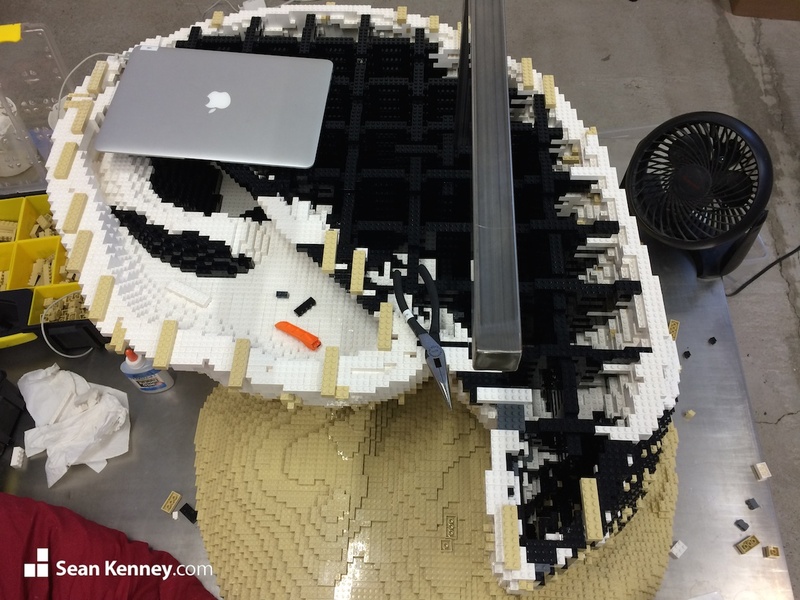 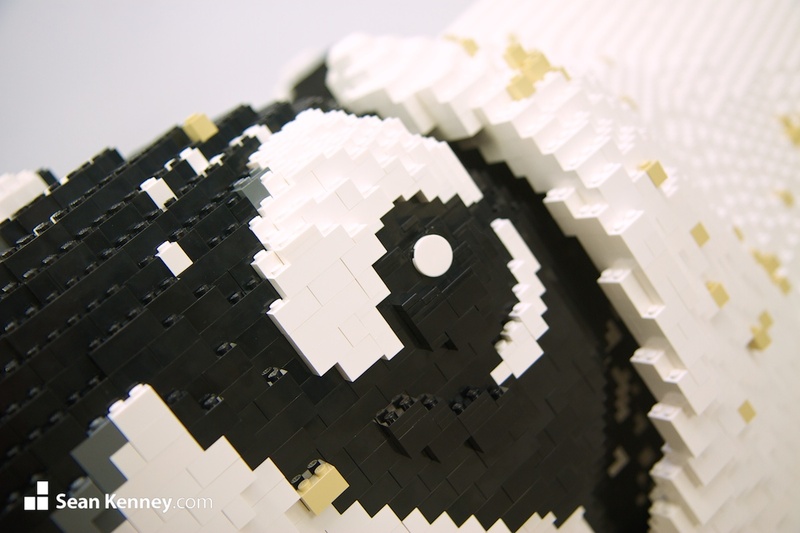 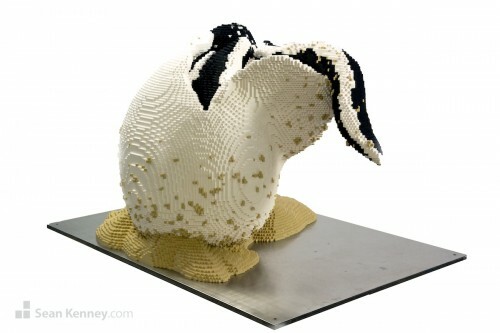 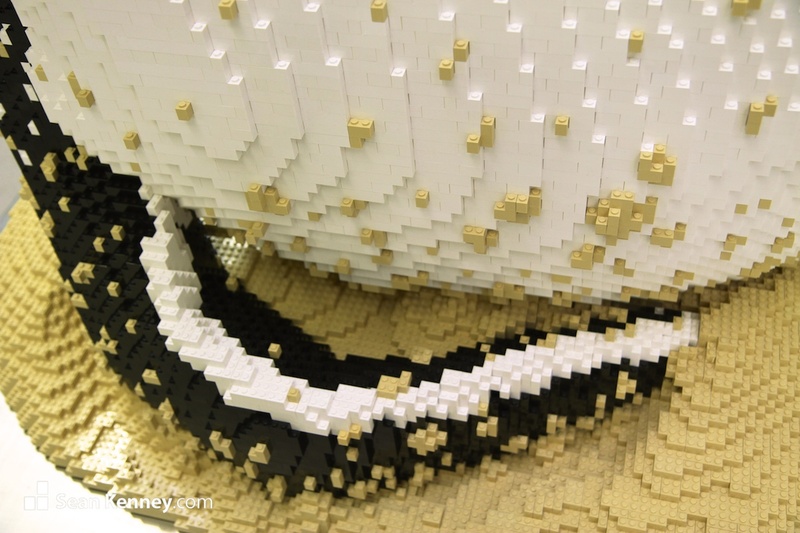 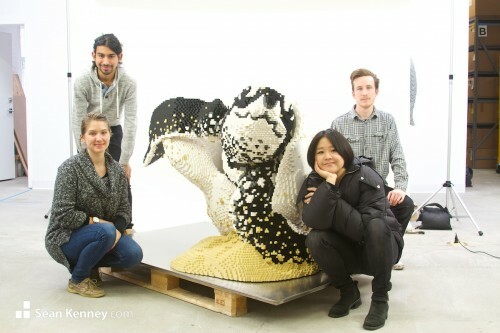 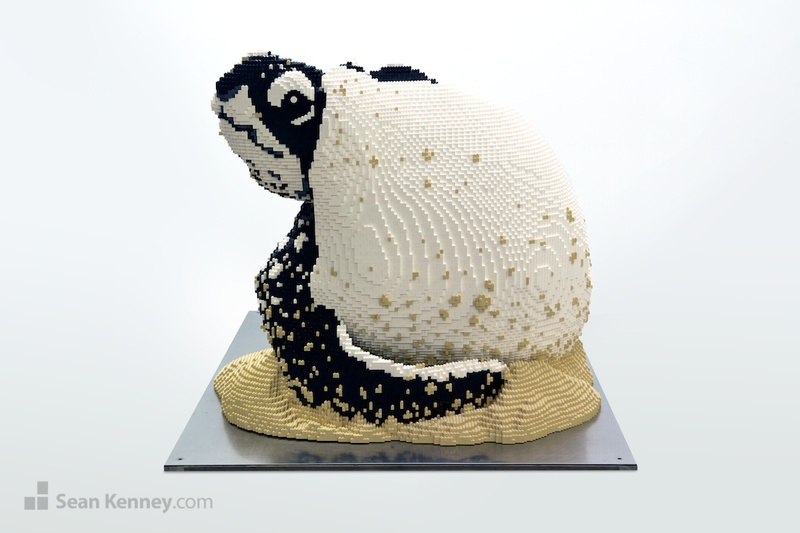 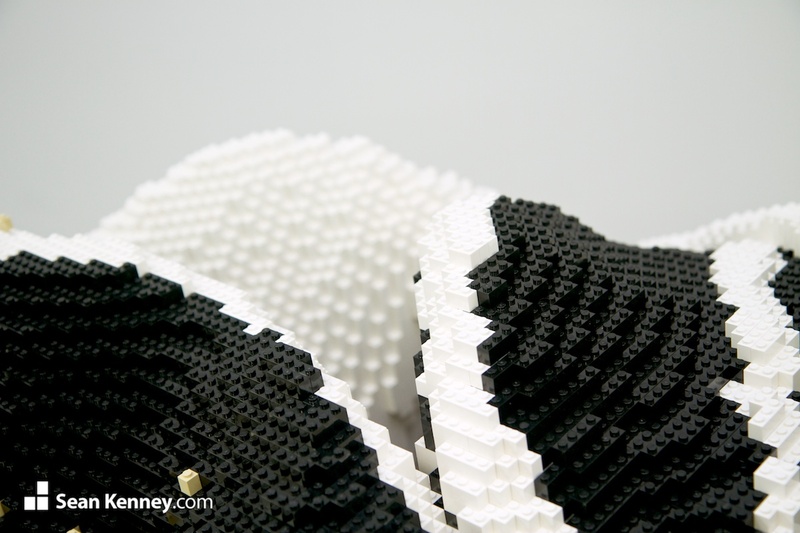 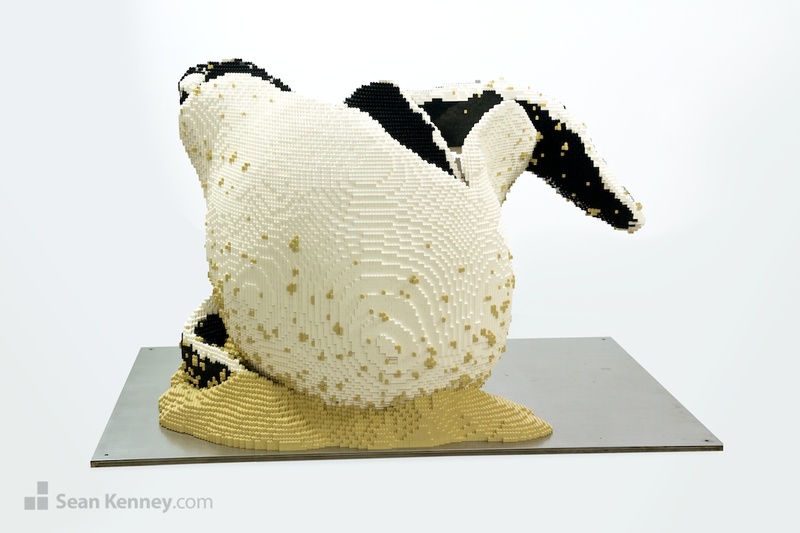 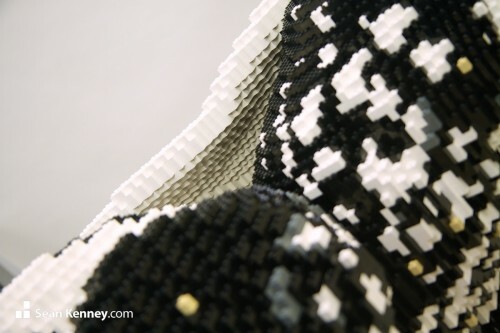 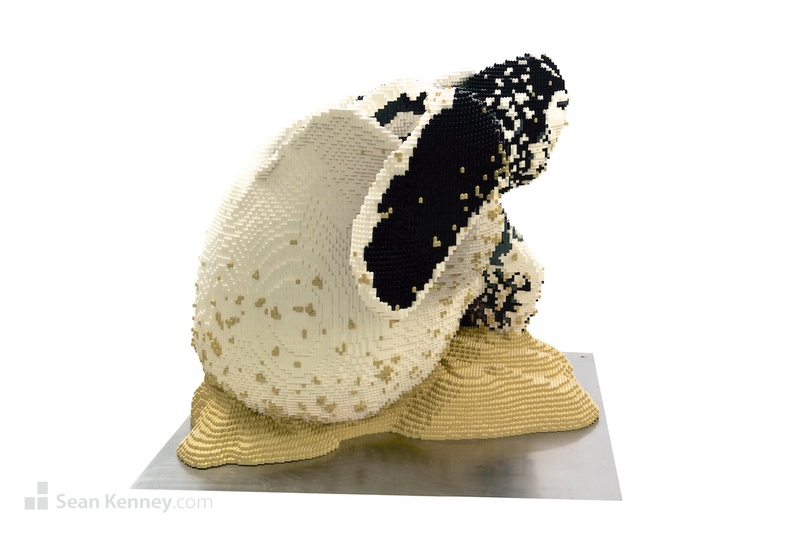 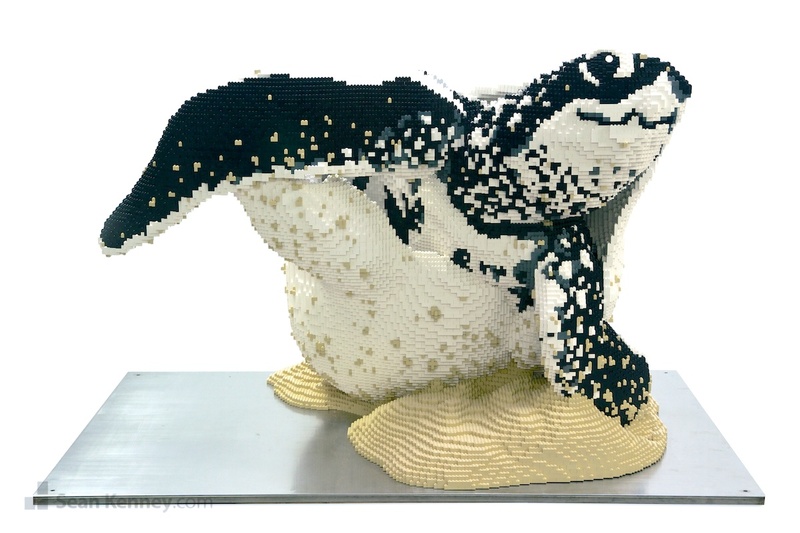 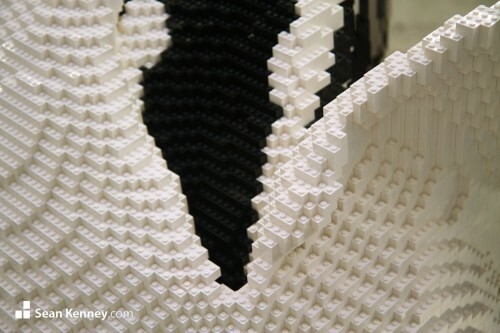 This sculpture is over 5 feet wide, contains 57,462 LEGO pieces, and took 483 hours to design and build. My assistant Jung Ah (lower right) designed and built this sculpture together with my assistants Luis, Meghan, and Sutton.